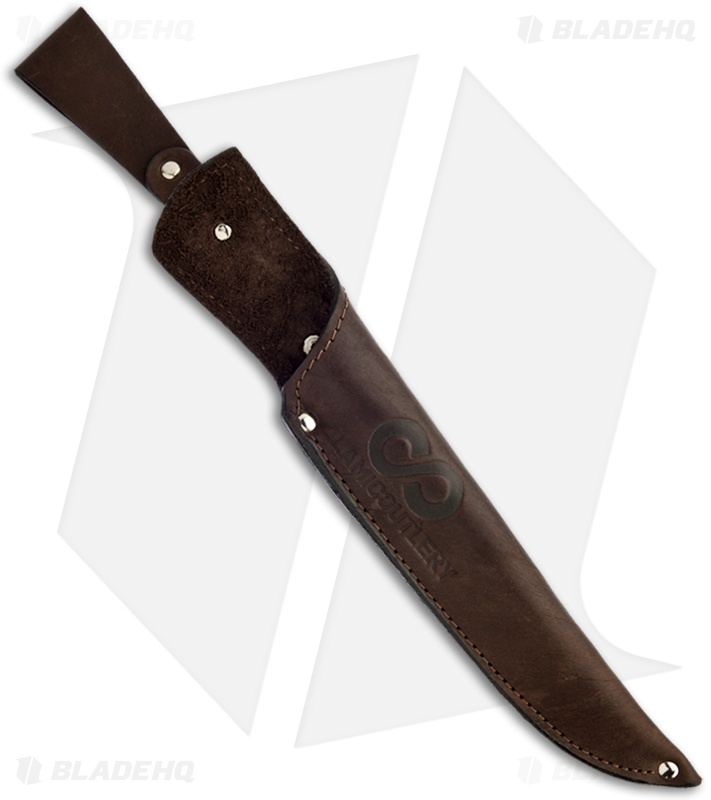 The Suna knife is an exceptional handmade fixed blade. 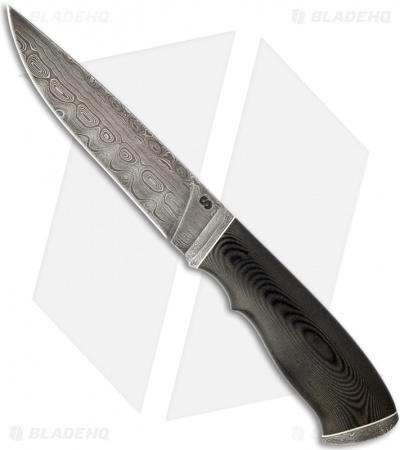 The drop point style blade is "Saturn's Rings" Damascus steel. Damascus and G10 bolstered black linen Micarta handle. The Suna fixed blade comes with a premium brown leather sheath with belt loop.